New Jersey gun laws place restrictions on what rifles may be possessed, sold or used within its borders. This allows residents to purchase rifles with confidence knowing that the rifle received will be legal for use. Only licensed firearms dealers are permitted to sell rifles in the state. It is illegal and dangerous to purchase a rifle from someone off the street. New Jersey places a ban on the sale and possession of all assault weapons and weapons that perform in a similar manner as those weapons specifically mentioned in state statutes. The Colt Match Target Rifle is one such weapon that resembles several banned assault rifles, including the Colt AR-15, but whose performance has been tweaked by manufacturers, making it legal to own and use in New Jersey. 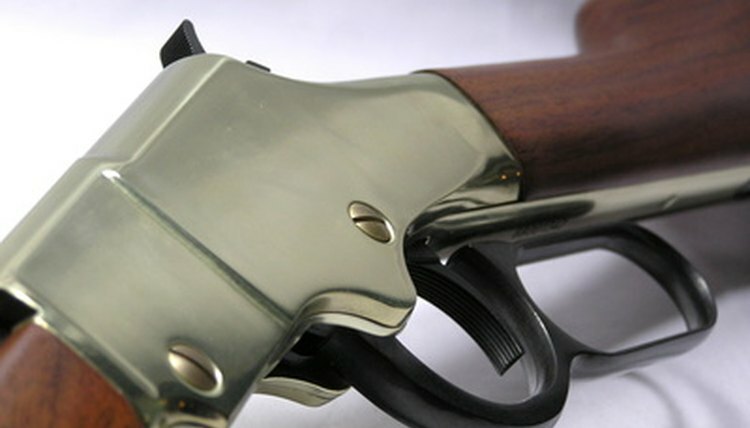 Owners may not make performance modifications to the firearm once it has been purchased. Doing so could be considered owning a banned assault rifle, which is a serious crime in New Jersey. The Springfield M1A rifle is another such model that has been modified by manufacturers to be legal for sale and possession in New Jersey. Only Springfield models manufactured after 1994 possess performance measures that are not substantially identical to banned assault rifles. Springfield M1A models built before 1994 are illegal to possess or use. In order to make sure that the model you are using or about to purchase is legal, you may call in to the manufacturer with the rifle's serial number to determine a specific manufacturing date. Any rifle purchased from a lawful firearms dealer in the state of New Jersey is legal for use in the state. Firearms are registered to owners through a statewide police database when purchased, which allows law enforcement to track sales and hold dealers accountable. If any dealer encourages you to purchase a rifle without asking to see your firearms purchaser identification card or does not have a firearms identification card or permit on the premises, he is more than likely an illegal dealer and should not be purchased from. Big-box hunting/sportsman stores are all licensed dealers. Weapons purchased legally in and out of the state of New Jersey may be transported in a private conveyance so long as the weapon is kept unloaded and in a locked container such as a gun bag. If no container is available, the weapon may instead be stored in the vehicle's trunk. Ammunition for the weapon must be kept in a different location than the weapon itself. For example, if the rifle is locked in the trunk it's legal to have the ammunition in the backseat. Lister, Jonathan. "What Rifles Are Legal in New Jersey?" , https://legalbeagle.com/6755650-rifles-legal-new-jersey.html. Accessed 25 April 2019.